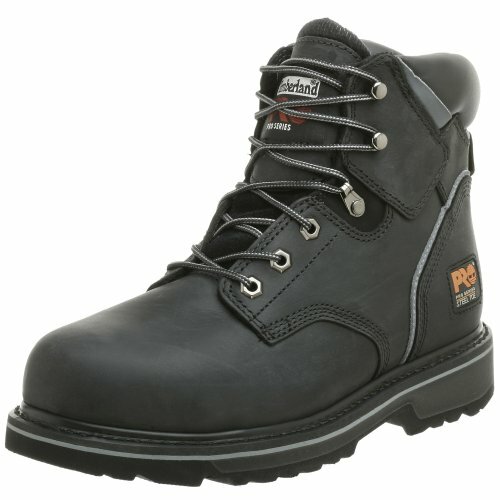 As an electrician or even a welder you need a pair of work boots that meet all safety standards, especially electrical. With the dangers associated with high voltage wires and even falling embers, you need a specialized pair of work boots. To help you protect your feet and your life, we found a pair of protective footwear that meets all electrical hazard safety requirements including the standards set by ANSI. Sturdy and durable leather construction. Available in several different fashionable colors. Padded ankle collar for additional support and comfort. Easy and quick front lacing design. Goodyear construction for extra durability. The removable inner liner helps to prevent painful blisters and embarrassing foot odors, while the thick rubber outsole gives you the grounding you need around live, high voltage wires. The leather construction is weather and water proof, so your feet can stay comfortable even when it is cold and snowy outside. The tread on the soles of the work boots give you the traction that you need on slick surfaces, while also helping to protect your feet from falling embers from welding. The work boots design even helps to support and cushion the arch in your feet, so you can stand on your feet comfortably for hours. Known as the “yellow boot” originally Timberland has been producing innovative work boots for over seventy years. Dedicated to designing footwear that is both protective and comfortable, it is easy to see why this company is still a global leader in quality work and outdoor footwear. With safety features that meet all federal and global safety standards, you can always feel safe working around live power lines and electrical wires when you are wearing these boots. Ideal for electricians and welders, these boots will keep you grounded while also giving you the comfort and stability you need for your long days at work.